Radioactive environments, extreme ambient temperatures, ultra-high vacuum, strict cleanroom requirements, operation in explosive atmosphere – with its "cyber special motors", WITTENSTEIN cyber motor GmbH is excellently positioned as a supplier of motor solutions for extreme conditions. Thanks to a combination of ingenious design measures, optimally selected materials, specially qualified production processes and application-specific load and endurance tests, WITTENSTEIN cyber motor's portfolio of synchronous motors and actuators provides maximum stability, reliability and long-term availability. "cyber special motors" are permanent magnet, rotary and linear synchronous motors and actuators. They are made for extreme conditions far exceeding standard industrial applications, where special design features are called for. The radiation resistant motors and actuators manufactured by WITTENSTEIN cyber motor can withstand radiation doses up to 107 Gy – about twenty-five million times the amount pilots are allowed to be exposed to in the course of their career – and ambient temperatures up to 200°C. With their stainless steel housings, optimized materials and specially qualified production processes, they guarantee maximum stability, reliability and availability – a crucial aspect considering that if they were to fail, a robot would be required to recover or replace them in a very expensive operation. Radiation resistant solutions such as these are a must, for example, in nuclear power plants to the drive robots which handle contaminated material. One particularly challenging application is when they are integrated in test tools for carrying out non-destructive examinations of fuel channels in CANDU pressurized heavy water reactors (CANDU = CANada Deuterium Uranium reactor, developed by Atomic Energy of Canada Ltd.). The motors are used during reactor operation and meet very high durability specifications. The limited space available for installation places additional demands on the compactness of the servo motors because the test probes of the tools are fully inserted into the fuel channels. This vision is now a reality courtesy of the explosion-proof motors and actuators in the cyber special motors family. Flameproof enclosure "d" and increased safety "e" versions satisfy the requirements of the ATEX Directive / DIN EN 60079 Annex F "Explosive atmospheres". They are certified for use in zone 1 (gases) or zone 21 (dusts) in explosive atmosphere and hence also suitable for zones 2 and 22. 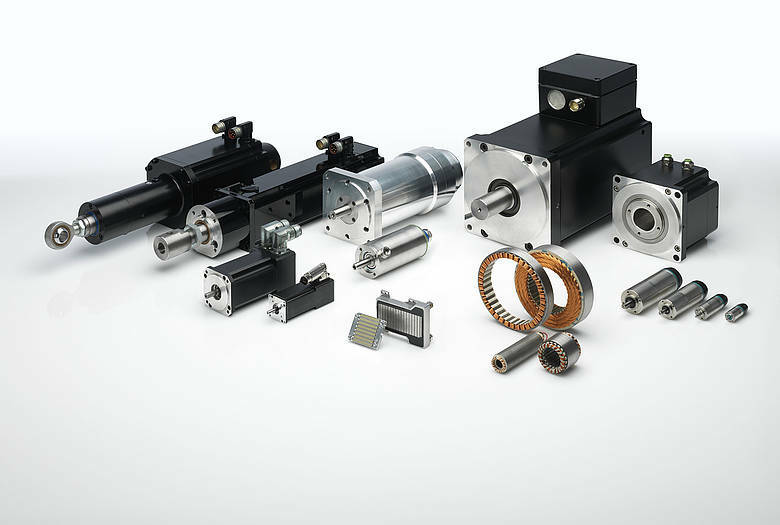 These explosion-proof motor solutions are ideal, for instance, for driving pumps, valves and ventilation systems, for extracting and processing oil and gas, in the chemical, pharmaceutical and food industries, for processing solvent or alcohol based printing inks and varnishes or for industrial packaging machines for printing fluids. Solutions featuring cyber special motors for zones 0 and 20 (explosive mixture continuously present or present for long periods) are currently in preparation. "Double safety" concepts are recommended here, in other words the motors have both "increased safety" and the "flameproof enclosure" protection as well as additional temperature sensors. A very long lifetime at ambient temperatures up to 300°C is a hallmark of all high-temperature motors and actuators manufactured by WITTENSTEIN cyber motor. Their high shock resistance up to 1000 g, vibration resistance up to 50 g and pressure resistance up to 2100 bar testify to the exceptional robustness of these motor solutions. The same applies to the frameless versions, whose weight and physical volume have been kept to a minimum to allow optimal integration in bespoke applications. Amongst other things, these motors are a popular choice in oil and gas exploration as electromechanical drilling head controls in directional drilling systems. They are also found in high-temperature furnaces, gas and steam turbines, generators and combustion engines. The vacuum models in the cyber special motors family are specifically designed for maximum performance in ultra-high vacuum. Owing to their extremely low outgassing rate, these motors and actuators can be used directly in the vacuum chamber at up to 10-8 mbar negative pressure. The normally critical feedthrough, which is essential when a motor is installed outside the vacuum, is consequently avoided. This is a great advantage, for example, in semiconductor manufacturing, aerospace projects and numerous other applications in research and development – alongside the temperature stability down to -273°C. Cleanroom technology is vitally important in a wide range of processes in semiconductor production, micro engineering, the medtech sector or coating plants. The pharmaceutical, food processing and cosmetics industries are other examples that spring to mind. The purpose of cleanroom solutions is to reduce the concentration of particles and microorganisms in the ambient air to a low level that is no longer quality-critical. With their low outgassing rate, cyber special motors – which are offered up to class 5 according to DIN EN ISO 141644-1 – can be used to realize drive concepts that are perfect for cleanroom applications. They thus make a valuable contribution to controlled manufacturing and packaging processes for any product that is sensitive to environmental contamination. Apart from the cyber special motors described here, WITTENSTEIN cyber motor GmbH also develops, produces and distributes miniature servo motors and complete drive systems for use in the robotics, semiconductor and packaging industries as well as for the most diverse tasks in automation engineering. Bespoke, non-standard solutions – often in small volumes – are a particular "speciality".